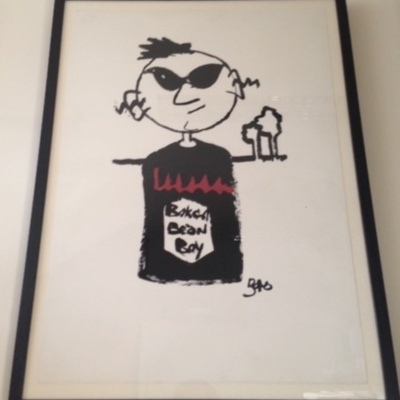 In 2003 singer and composer Gavin Friday along with his musical collaborator Maurice Seezer created the first Irish adaptation of Sergei Prokofiev's classic 'Peter and the Wolf'. 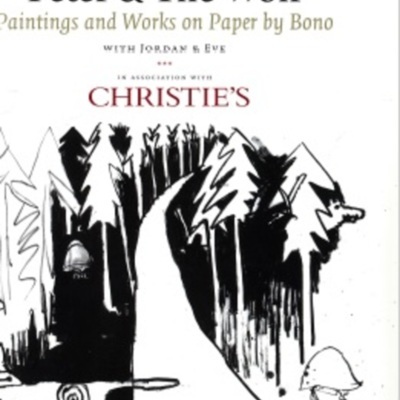 A CD box set was created accompanied by a 64-page cloth-bound book illustrated by U2’s Bono and his daughters Jordan and Eve. The book was officially launched on October 1 2003. The artwork was auctioned by Christie's New York on November 21 2003. 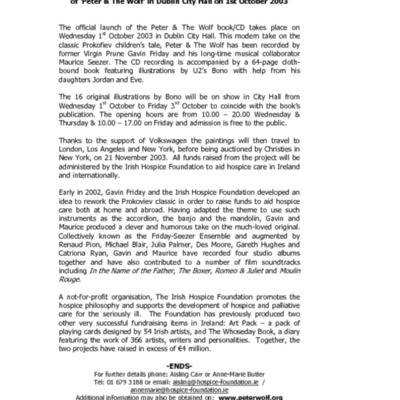 Press releases promoting the launch of the Peter and the Wolf project, 2003. 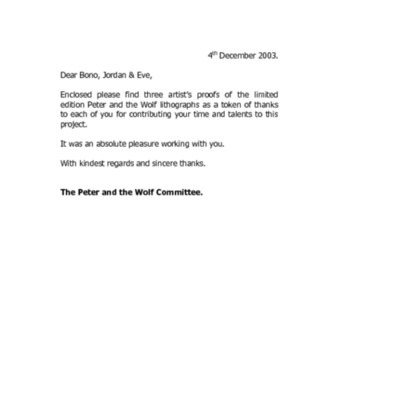 Documents relating to participants in the 2003 Peter and the Wolf project, including invites and thank you's for their contributions. Images of attendees at the 2003 Peter and the Wolf launch. 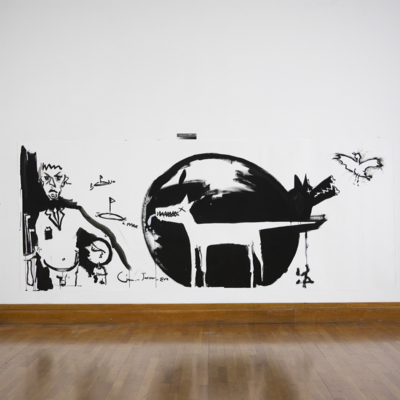 Image and documents relating to the auction held in New York for the Peter and the Wolf Book and C.D, 2003 project. 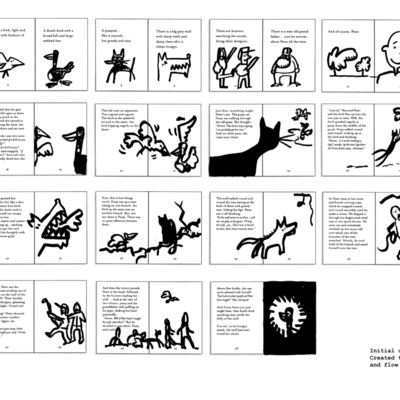 The original concept sketch created by Ciarán Ó Gaora of Zero-G studios in October 2002 to map out the illustrations required and the narrative flow of the ‘Peter and the Wolf’ book. 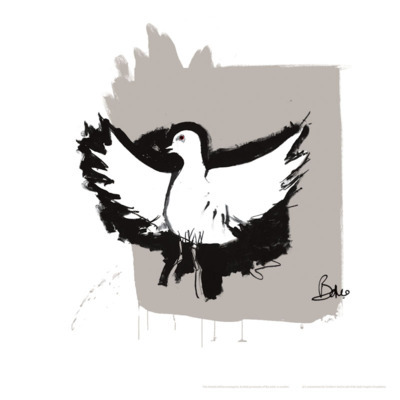 Bird visual print from Peter & the Wolf original illustration. Image from Ciarán Ó' Gaora .